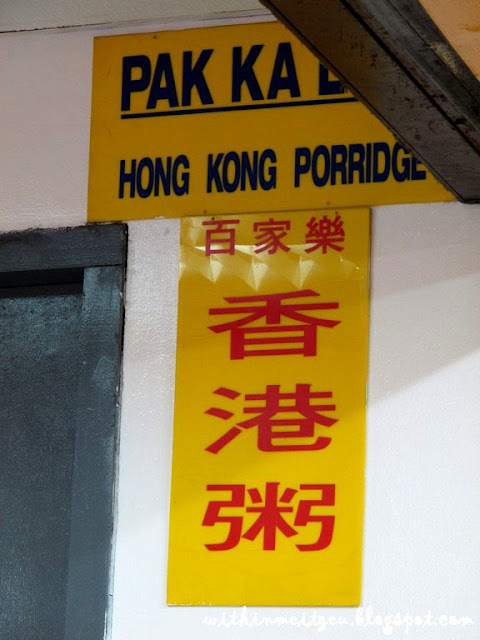 Personally, I love porridge very much. I can have porridge for few days straight even though I might get hungry after one or two hours. Located at 1st Floor of Wisma Merdeka, a shopping mall at down town Kota Kinabalu, Sabah. A well known restaurant that operating their business since my primary school time (as what I can remember) and it will be crowded most of the time, serving all kinds of foods from French toasts, Chinese Kuih and Hong Kong Porridge. In my latest attempt to the restaurant for breakfast on Sunday at 9.00am, (before the shopping mall officially start their business at 10.00am) the restaurant was crowded already! Been there for the third time (not frequently went there for meals because it's too crowded) and we always forgot about the shop! We only remember the word "Food Court" which located at the other phase of the building! 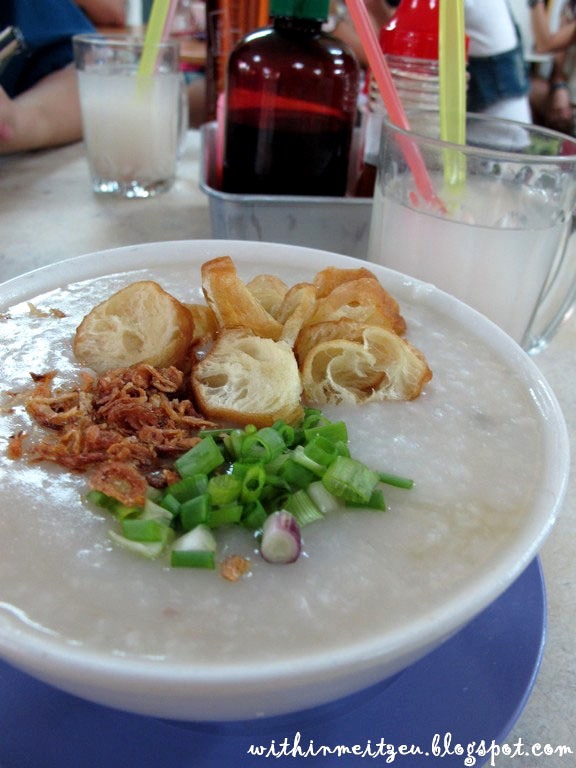 Was trying out my G12 after I bought it for the first time on January and it brings me to took photographs of porridge! 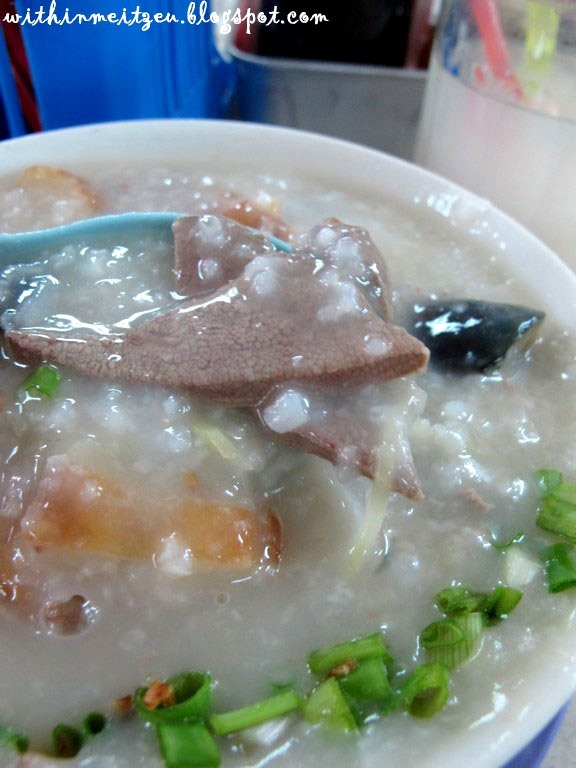 Here comes my Pork Liver and Kidney Porridge! It cost RM5.00 which is reasonable! Their Beef Porridge and Mix Pork also good! walk further behind to the washroom entrance and you can see the restaurant! What?? I thought it won't finish until afternoon? ?